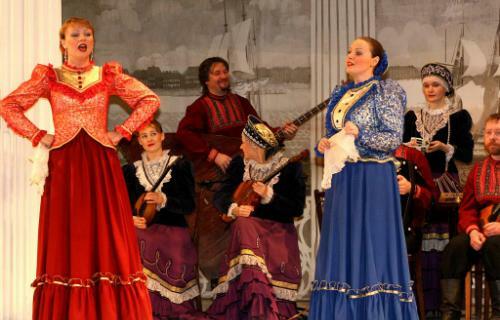 The Russian folk show is given by excellent performers dressed in traditional bright and colorful costumes in a cozy and nicely decorated Concert Hall of the Nikolaevsky Palace. It is lively and loud and there is also a sense of humour that permeates the performance, which includes tuneful romantic folk songs and sparkling dances of different provinces of Russia. During the break the guest are offered refreshments. The emotional sensations receive from the show are further emphasized by the magnificent interiors of the Grand Duke’s Palace.